Exclusive 2 bed apartment with fantastic views of the sea and pool . Fantastic on-site facilites for the whole family. Short walk to the stunning beach. Luxurious surroundings . Newly built,this stunning apartment with floor to ceiling windows give you fantastic views overlooking the pool and the sea. The apartment has cable TV, 42’ LCD TV, wireless internet.There are snooker facilities and a fitness room on-site,along with an adult and children swimming pool and with only 24 apartments the facilities are never busy. 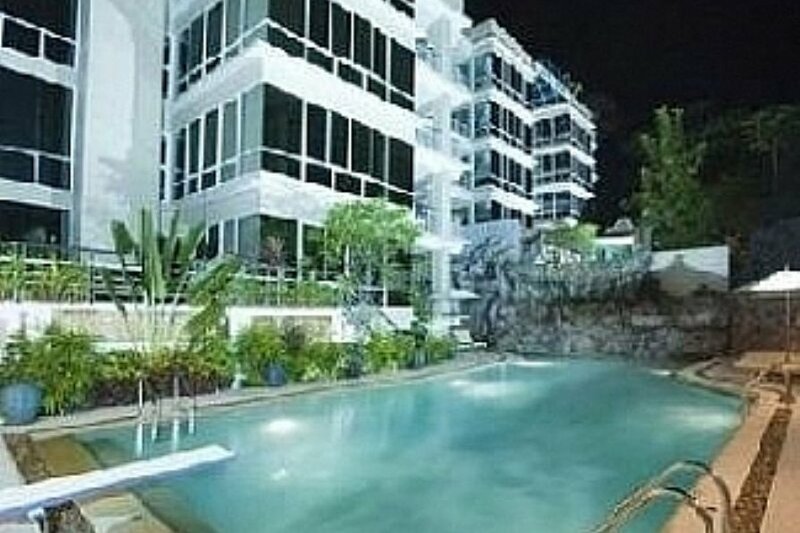 It is10 minutes by car or scooter from famous Patong beach and a short walk to the restaurants and entertainment area of Karon yet secluded and peaceful. The sandy beach is a 5 minute walk.The Master bedroom with king size bed has a walk-in closet and has direct access to the large balcony.There is an en-suite bathroom also. The second bedroom has twin beds and has access to a private balcony. There is also a double sofa bed in the lounge area.The kitchen is open plan with a bar table facing to the dining area.The en-suite bathroom has a WC, washbasin, large bathtub enclosed with marble and separate glass walk in shower enclosure. The second bathroom has a WC, washbasin and a glass shower enclosure. A perfect place for a perfect holiday. The unit is on the second floor of a four floor block. There are only 8 units per block and the entire development has only 24 apartments. There is an adult and child pool, fitness room, snooker table, kids club, restaurant and Mini-Mart on-site.